CRAIG — The Craig City Council is expected to adopt a resolution formally opposing proposed Amendment 74, which will appear on the November ballot, during its regular meeting, set for 6:30 p.m. Tuesday, Oct. 9, at Craig City Hall, 300 W. Fourth St.
Amendment 74 seeks to amend Article II, Section 15 of the Colorado Constitution, which deals with compensation to landowners in cases of imminent domain or regulatory taking. The amendment would add to this section a requirement that landowners must be fairly compensates in cases where government law or regulation reduces the fair market value of the property in question. The measure has also been closely tied to Proposition 112, which would increase the required setback for new oil and gas development from structures intended for human habitation and areas designated for public use. Many of the same groups that oppose Proposition 112 support Amendment 74, including the Craig City Council. The resolution further notes that similar laws were either attempted or defeated in both Washington and Oregon due to the tremendous costs involved. City Council is expected to approve the renewal of a hotel and restaurant liquor license from Kona Corp., dba Ginos, at 572 Breeze Street. No cause has been shown for denial. City Council is expected to approve renewal for a 3.2 percent, off-premises beer liquor license for Kum & Go LC, dba Kum & Go #902, at 1302 West Victory Way. No cause has been shown for denial. City Council is expected to reappoint Steve Hinkemeyer as city representative to the Yampa/White/Green Basin Roundtable. City Council is expected to approve of bid of $9,900 from CWD Services for the Yampa River Raw Water Intake Structure Modification Project. City Council will consider an emergency ordinance amending section 13.36.055 (b) of the Craig Municipal Code regarding standards for control of backflow and cross-connection by water users. Council members will consider for possible approval of a Memorandum of Agreement for a permanent easement and two temporary easements from CDOT. Council members will hear a presentation from Moffat County Tourism Director Tom Kleinschnitz about the Craig Rural Academy for Tourism, or CRAFT, now underway in Moffat County. Council members will hear presentation from City Judge Heather Cannon and City Attorney Sherman Romney about the municipal court system. 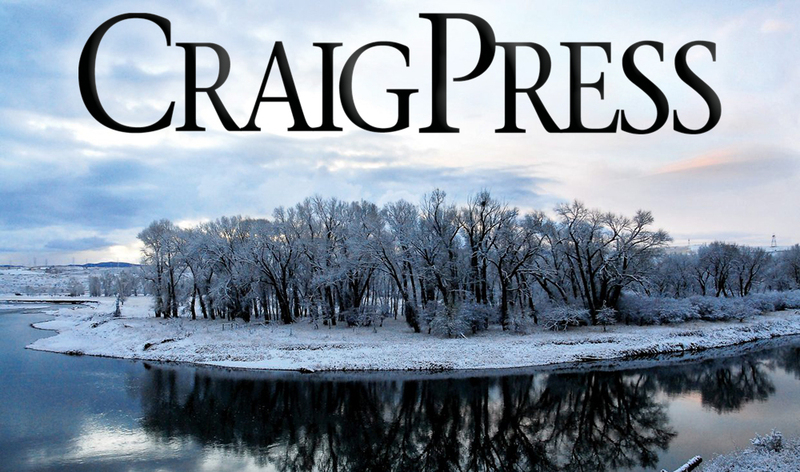 Council members will hear the monthly report from the Craig Police Department. Council members will hold discussions about the Moffat County Branding Project and the city logo. To view a complete agenda and packet, visit ci.craig.co.us/government/city_council/council_packets/october_2018.